This page describes how to teleport to Orientation Station’s Scholar Island as part of the CQUni Second Life Orientation Workshop. What is teleportation you say? This is a virtual world and is not restricted to real-world physics. So in SL, you are able to move from any one part of the virtual world to another almost instantaneously through teleportation. So how do we do it? There are a couple of ways to identify a destination for teleportation. You can find locations in-world and click on the teleport button. We’ll look at this later in the workshop. The other approach is often used on the web and is known as a slurl (Second Life URL). 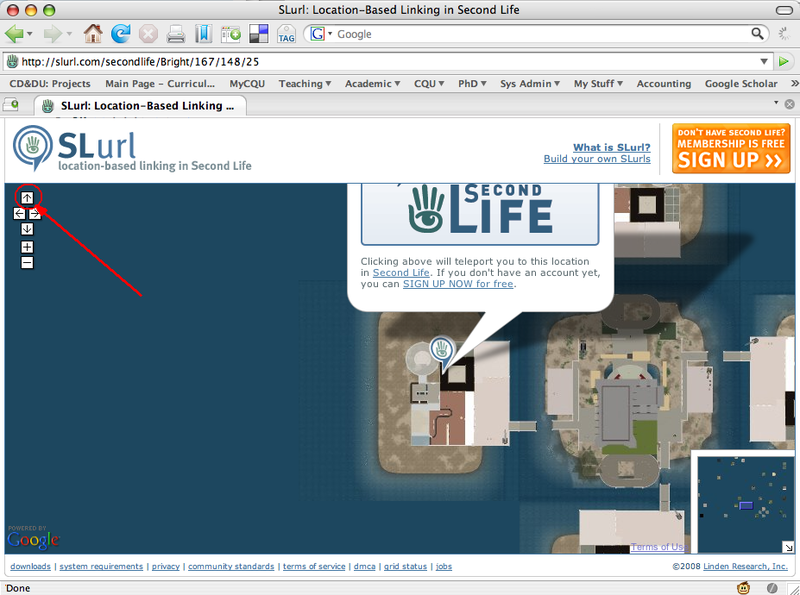 Its like a web browser internet address, but for locations in second life. 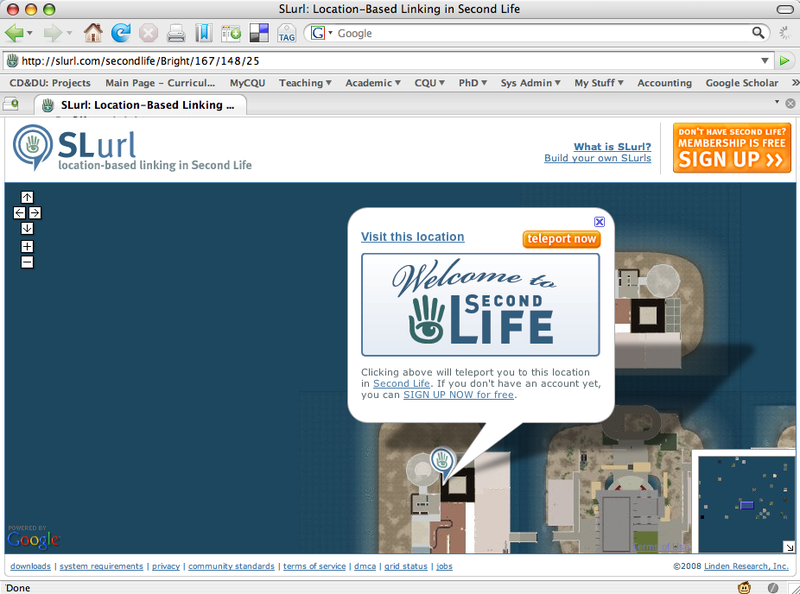 You can access a slurl in your web browser, and it provides a link to click on that will tell your Second Life program where to teleport to. Click this slurl for Orientation Station. To teleport to this location, you click the orange teleport now button. You will be asked to launch second life, which you should do, and the location will appear in your Second Life window with a teleport button. Click this button in Second Life and you are away. If your slurl web page does not show the teleport now button as demonstrated below, then you need to slide your map page upwards so the button is visible. Do this by clicking on the red circled up arrow button as shown. slurl page with the orangle “teleport now” button obscured. Once you have teleported to Orientation Station, you can return to the main workshop web page.